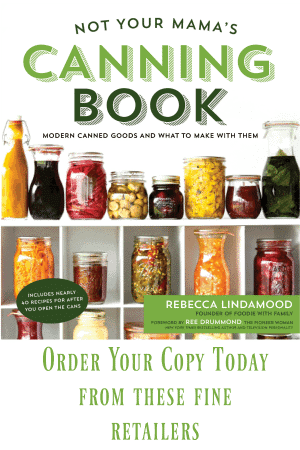 I’ve got a little food related obsession to share with you. I know it’s not entirely surprising coming from me, but this one is for a very old-school beverage; Ginger Swichel Drink. How old school is it? Well, it originated in the Caribbean and made its way to the American colonies by the late 17th century, if you believe Wikipedia… It’s a beverage with a literary history, too. Ginger Switchel Drink appeared in the writings of Herman Melville and Laura Ingalls Wilder alike. It’s the latter reference -a passage from “The Long Winter”- that hooked me into the wonderful world of Ginger Switchel Drink. Some of you may already know what goes into it, but for the benefit of those who aren’t driven to research every food they ever read about (because I’ve been told people don’t spend four months trying to find a recipe for a cake they’ve seen in a book), let me break it down. 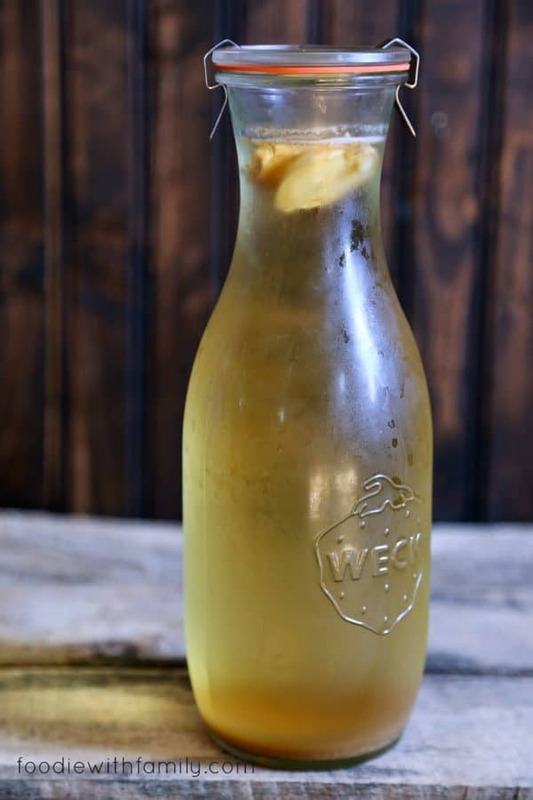 Ginger Switchel is cold water infused with ginger (dried and/or fresh), lightly sweetened with brown sugar or honey and mixed with a little raw apple cider vinegar for tang. “You put vinegar in your drink? Are you crazy?” If I am, I’m crazy like a fox, people. Ginger Switchel Drink, also called Haymaker’s Punch, sounds big time odd to our modern palates when you glance over the ingredients list; raw apple cider vinegar, honey, ginger, and water. The truth is, though, it’s mind bogglingly refreshing and more than just a little bit habit forming. In ‘The Long Winter’, Laura pointed out why it was such a good thing to drink when she and Pa were out haying, which is some of the hottest, stickiest, hard physical work a person can do. “Ma had sent them ginger-water. She had sweetened the cool well-water with sugar, flavored it with vinegar, and put in plenty of ginger to warm their stomachs so they could drink till they were not thirsty. The raw apple cider vinegar contains high levels of potassium which is one of the key elements in maintaining or restoring an electrolyte balance. In other words, it helps you recover from dehydration. In other other words, it’s like sports drinks minus the food colouring and junk. Water? Well, shoot. I don’t have to explain that one. The use of ginger to quiet an angry stomach is well documented, reaching back thousands of years. Doctors often suggest it as a natural treatment for nausea and motion sickness. It has the added bonuses of being an anti-inflammatory similar to ibuprofen or aspirin, and being a mild stimulant which means -HOORAY- that the potassium from the raw apple cider vinegar will hit your blood stream faster. Oh, and ginger tastes dreamy. There’s that. 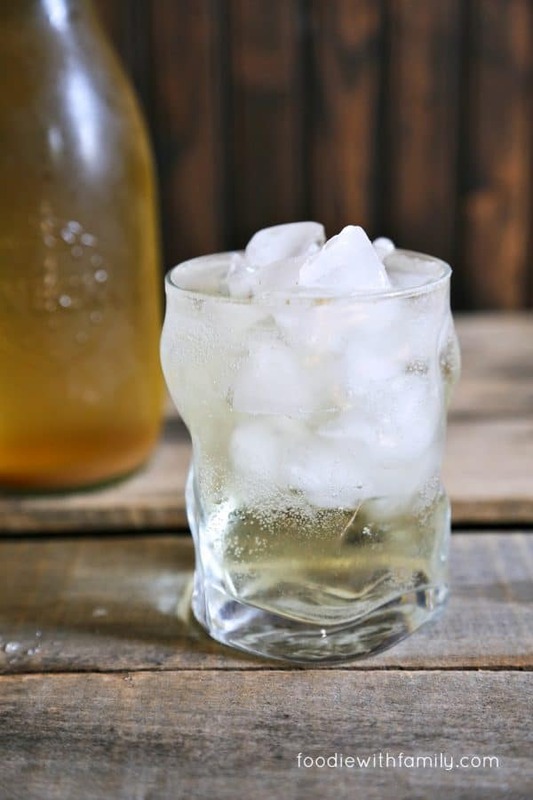 I prefer honey in my Ginger Switchel Drink because I think it delivers a mild flavour as well as sweetness to the mix, whereas sugar simply delivers a hit of sweet. Besides that, honey has some health benefits of its own to bring to the party. Raw honey is anti-bacterial and has anti-inflammatory properties, too. It soothes sore throats. (Have you ever thrown hay? You know how dry your throat gets while you do it? Yeah. Honey in Ginger Switchel Drink is kind of genius here.) Research indicates its powers in soothing stomach and intestinal distress, and that it is full of anti-oxidants and minerals such as iron, calcium, phosphate, sodium chlorine, potassium. Wait. There’s that potassium again. ELECTROLYTES, people! All of this would be a non-starter, though, if Ginger Switchel Drink didn’t taste wonderful, which it does. Icy cold, slightly sweet, tangy, and just unique enough to keep you coming back for more, Ginger Switchel Drink is refreshing like -but has a decided nutritional and historical leg up on- lemonade. The truth is that I prefer this not only for taste reasons, but because I always have the ingredients on hand for Ginger Switchel while fresh lemons for lemonade are a little harder to keep on hand. I call for both ground ginger and fresh ginger in the recipe. I find the ginger to have a greater presence and depth with this combination. If you can’t lay your hands on fresh ginger, simply double the dried ginger amount specified in the recipe. I use raw honey in my Ginger Switchel Drink because that’s what I keep around the house. If you can’t find it, or have to eschew it for household members with compromised immune systems, you can use pasteurized honey in the recipe. Either way, choose a honey that is mild in flavour. I like wildflower or orange blossom for the job. Before stashing your bottle or jar of Ginger Switchel Drink in the refrigerator, taste the liquid. You can adjust to sweeten it further if you’d like. I prefer mine on the less sweet side, because I feel it does a better job of rehydrating and refreshing with less sweetness, but this preference is personal, so adjust to your liking. You want to let the Ginger Switchel Drink infuse for at least 2 hours in the refrigerator. This gives the ginger enough time to impart all of its delicious healthy goodness to the water. It’s not harmed by sitting longer. In fact, I’ve had a bottle that was unceremoniously shoved to the back of the refrigerator by someone rummaging around for mustard. There sat the bottle for a week until I finally uncovered its hiding place behind a voluminous bag of fresh herbs. I happily drank the well-infused switchel and am pleased to report that it didn’t suffer in the least for the long rest in the chill chest. I usually use the visual cue when the Ginger switchel itself becomes crystal clear and the precipitate has settled to the bottom of the jar or bottle to indicate it’s ready to drink. You can simply sip the Ginger Switchel as is, after infusing, or mix with plain seltzer or club soda. Some folks like to add some pieces of fruit as well, but I’m a purist when it comes to my switchel. A word to the wise: Ginger Switchel makes a fantastic mixology ingredient, too. Play around with it and be rewarded. Tangy, slightly sweet, refreshing as heck, with a decided ginger kick, Ginger Switchel is a fantastic electrolyte balancer when you're dehydrated but is also great to help beat the heat! Add the honey, raw apple cider vinegar, and ground ginger to the bottom of a quart jar or 1 liter jar that has a tight fitting lid. Whisk until thoroughly combined, add the fresh ginger coins, then fill the jar with fresh, cold water up to within 1/4-inch of the top and fix the lid in place. Shake and invert a few times before stashing in the refrigerator for at least 2 hours but as long as 36 hours. Remove the pieces of ginger root from the jars and serve the Ginger Switchel over ice or with plain seltzer or club soda. Do you like this Ginger Switchel? You might like these other non-alcoholic drinks, too! Ooh! I’m so glad you posted this for several reasons. I’ve been reading about an old time Amish drink using vinegar and wanted to find something about it. Second, looking for a replacement for the gatorade junk my kids want. I have been making my own for awhile now, but it has quite a bit of sugar in it. Finally, I have an herbal tea recipe found online for a mock fruit punch. Its delicious, and I’m planning to try adding the vinegar as a sub for lemon juice. I can see us going through quite a bit of this over the hot weather. Going out now to get the raw apple cider vinegar. My husband loves ginger beer so I’m hoping he likes this. PS….I am guessing you add the fresh ginger in with the raw honey, vinegar and ground ginger? You had me at Laura Ingalls Wilder! And ginger! I can’t wait to make this! I might recommend a few (2) drops on ginger essential oil if you’re particularly lazy (which I can be) and if you have it on hand (which I do)! I’m not normally one to put vinegar in my drinks but I’m going to totally trust you and give it a go! Hooray! Thanks for giving it a try! 😀 I think you’ll like it. This looks so refreshing and delicious. The perfect summer sipper! Thanks, Lori! I can’t get enough of this stuff! This was absolutely surprising! Refreshing and delicious to sip. …and here’s to hoping the ginger calms my morning sickness. Just wanted to say…I AM TOTALLY ADDICTED!!! I drink the whole quart everyday! A couple hints: shaking the ingredients with a little warm water first helps the honey dissolve, and if you happen to run out of fresh ginger you can use the coins a second time and they still do a pretty good job. …and it does help with morning sickness. Hooray! I’m so glad it’s helping you out, Sara. Thanks for sharing your tips with us! Tried it and loved it! Husband AND kids loved it. It’s a life changer- blowing sugary drinks out of the water when it comes to thirst quenchers! Yeah! That’s fantastic. It’s so nice when something so easy is so good, isn’t it? Where did you find those wiggly glasses!? I love them. Just mixed some of this up for my husband, who is out mowing the lawn in the hot Georgia sun. Hope he likes it! What I tasted was delish!! This turned out soo well! Thanks for broadening my horizons. My husband prefers the switchel over ginger ale soda. Thank you! Of the jar? Mine looks cloudy because I shook it before pouring over ice, but yours looks pretty clear. I have a non-answer answer for you, Jenna! Sometimes I shake it, sometimes I don’t. I tend to think it is a little stronger when I shake it and like it a lot, so I do shake it more often than not. You’re correct though. I did not shake it before I took the photo. Makes sense! Thank you! And I love this drink already!!! I just made some and I’m going to have a hard time waiting to drink it- it already tastes delicious right after tasting it. And I agree with the above comment that it would also make a delicious moscow muley-type drink with some vodka or gin. Thanks for sharing! All that’s missing is molasses, which traditional switchel has in it, to replenish electrolytes like potassium and magnesium. Molasses is a good choice for that, but I find the flavour to be a little overwhelming in this situation and prefer not to use it. Honey is perhaps not quite as effective, but it’s close! Quick question if you don’t mind. The recipe calls for water in the beginning. Is this considered the base? Just curious as to how much of the the original “base” is used when you would like to mix with Seltzer water. Hi Mandy- Try mixing it to taste! I like a couple tablespoons to about 8 ounces! I used my garlic press for the ginger and it worked great. Just discard the pulp. It had a true ginger bite. This drink is terrific, thanks for sharing it. You’re very welcome, Maggie! Thanks for the tip! 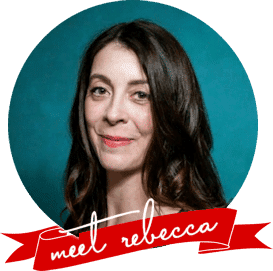 Hi Rebecca.. 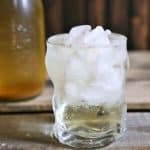 I found your recipe for this drink while searching for a cheaper alternative to Bragg’s ACV Ginger drink which sells locally for $2/bottle (16oz).. I tried another recipe that I found before yours and the ratio of ACV is just way too high for me — I’m looking for something more mild — not that in-your-face ACV kick.. I’ll put yours in my queue of things to try next. I’m not going to use honey as I’m trying to go as sugar free as possible and will be using Monk fruit sweetener (the 300x variety) and see how that works out. I’ve got fresh mint growing in a pot in the front yard and will probably put a few crushed leaves in for additional flavor. Thanks again! That sounds delicious, Rick! I may give that a go as well! Can you use minced ginger an how much for equal portion?? Absolutely, Carmen. Usually about 1 tablespoon of grated fresh ginger is the equivalent of 1/4 teaspoon of ground dried ginger, so two tablespoons. The reason I have both dried and fresh in the recipe, is I like the depth of flavour it lends. Spices are somewhat altered in the drying process, and I think it adds a little different flavour to use both.